The awaited Google podcast app is here and available in the Google Play store for download. Mike Dell and special guest host Dave Clements, from the Blubrry Support team, and host of the GeekThis Podcast, talk about the new Google Podcasts app for Android. There are some upcoming updates to PowerPress, so be on the lookout for an update in the future. Dave and Mike discuss how it is working for the Blubrry technical support team and some other support issues. Google’s podcast “app” released this last week. How it works — it might not be what people expected. How to make sure you are in the Google search. Another directory, another set of requirements you have to follow. Coming to PowerPress soon: Subscribe on Google Podcasts and Listen on Spotify. PowerPress 7.3 is in internal beta right now and should be released very soon. Subscribe on Android will also support Google Podcasts. What is it like working at Blubrry in technical support? Spotify Update – They have “started” on the backlog of submissions. It’s still going to be a while before shows are accepted and added to the platform. The Blubrry team has no way to speed up the process, sorry! Blubrry Player: How to get the images to show on your site. 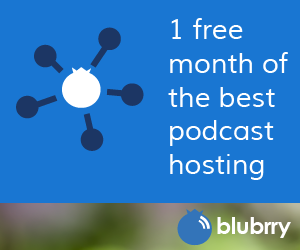 Give Blubrry your RSS feed for the directory. To ask questions or to comment on the show, you can contact Dave here: dave@blubrry.com and contact Todd and Mike here: yourpodcast@blubrry.com.